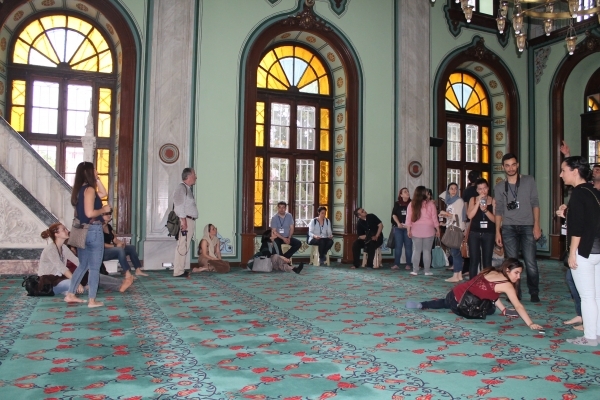 The experts studied the historical and contemporary buildings of Izmir as part of “World Interiors Day” organized by Izmir University of Economics, Faculty of Fine Arts and Design, Department of Interior Architecture and Environmental Design. 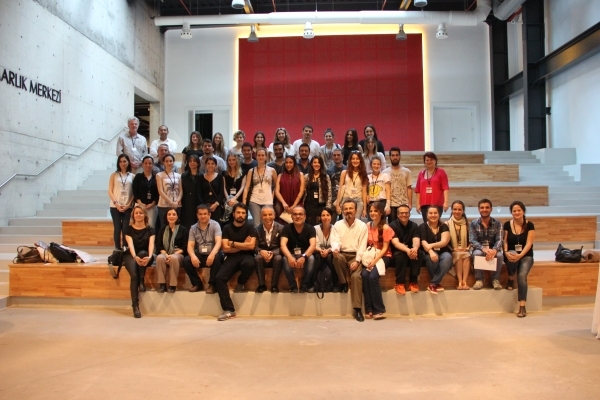 Lecturers, students of the department, members of Chamber of Interior Architects Izmir Branch and Chamber of Architects Izmir Branch members, and approximately 50 interested participants attended the event that took place at IUE Faculty of Fine Arts and Design. 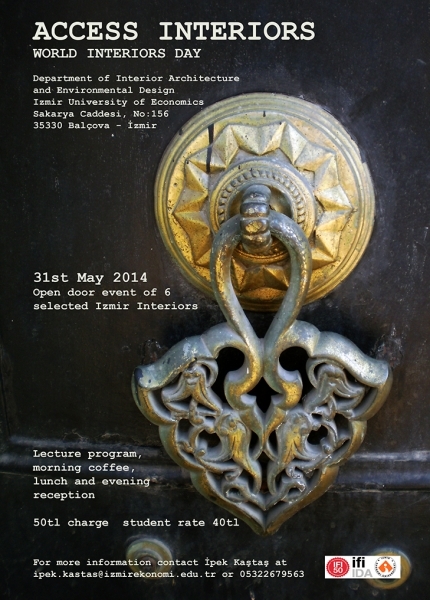 Access Interiors, a continuation of "Talking Interiors" named seminar series, took place at World Interiors Day. Also, a cocktail, supported by Akarsu Ali Company with the participation of Chamber of Interior Architects took place. Thomas Keogh stated that the awareness of students in Izmir on both historical and current design environment was very important. “This city embodies many treasures. Due to Istanbul being the focus point in Turkey, the more accessible and closer may be overlooked. The first part of the trip included the “living” mosques from 18th and 19th centuries in the old parts of the city and the early Republican era buildings. We initiated our trip at IUE Faculty of Fine Arts and Design Building, an example to contemporary and successful interior solutions. 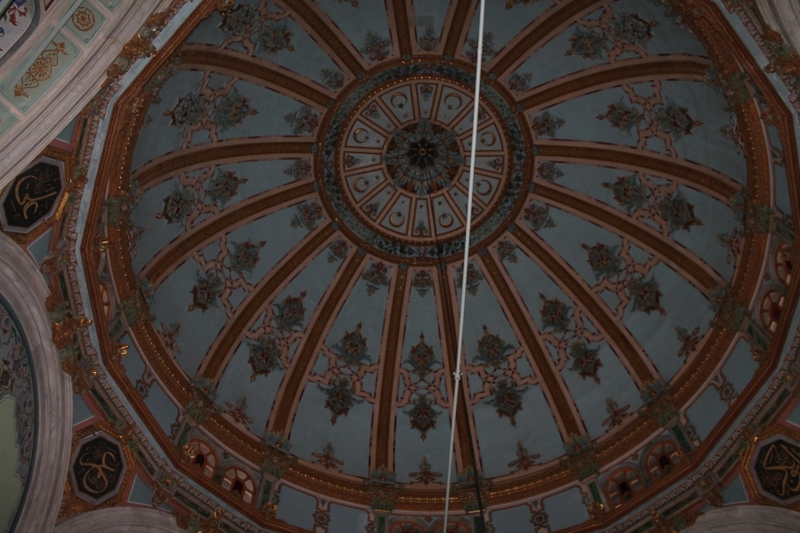 It was encouraging to see that Izmir, on one hand, is a city that restores the historical buildings and surroundings, and on the other hand, improves as a city of contemporary design,” stated Keogh.